Copyright (c) – Deconstruction Ltd.
℗ 1996 BMG Records (UK) Ltd. © 1996 Deconstruction Ltd. The main track "Be As One" is okay. It was a very big tune at the time, although I found the vocals to be a bit too pitched up for me. I did not buy it when it came out, for this reason. In later years, I came to discover "Heart Of Imagination" on the B-side. That is awesome. If you like the BT remixes that were coming out in this period of progressive house, check out this track on youtube. It's quite ridiculous that this vinyl is selling for less than £1.50 at the moment, but there you go I suppose, times and tastes move on. 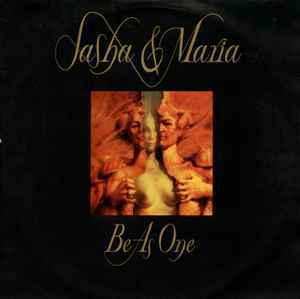 I love "Be As One" as much as the next man that bassline is straight from "Right in the Night" by Jam & Spoon. This record was the zenith of epic house - the high tide the whole genre reached before all the artists started winding back the production elements a bit and reduced track lengths. I can't imagine many people getting Jan Johnson and Danny Campbell in for a backing vocal session these days and recording about three words each! Great times, great production and great track (but I think Xpander is better).